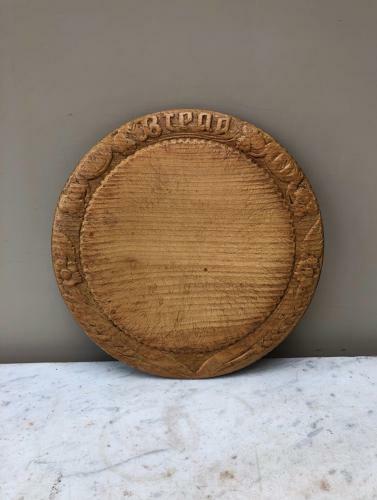 Victorian Carved Bread Board. Pattern all around the edge. Although it has been pretty well used it has a good look and is a great colour.